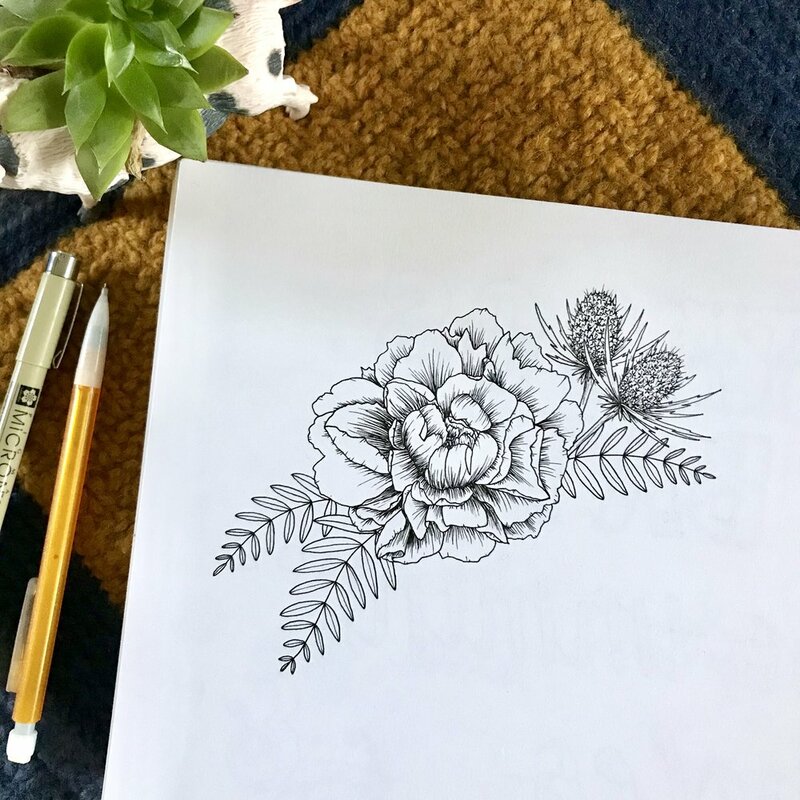 During this two hour workshop, Claire will walk you through four basic steps to create your own floral drawing. Working from a photo, we will convert each petal into an easily approachable shape; and from there - we will cover the steps needed to add depth and dimension to your piece. We will practice a poppy flower together to allow you to rehearse the steps, and then you will have several other flowers to choose from to illustrate on your own! You will walk away with a finished floral illustration, a selection of my favorite illustration tools, and a packet of practice guides and photos to tackle at home.